The name change is due by the institutions, following a directive by the University Grants Commission to remove the ‘university’ tag’ as decreed by the Supreme Court. BENGALURU: Two prominent educational institutions in Bengaluru are poised to change their names on Thursday following a directive by the University Grants Commission (UGC) to remove the ‘university’ tag’ as decreed by the Supreme Court. Christ University and Jain University, both deemed varsities, were due to submit new names to UGC by 4 pm on Thursday. A notice was issued to seven universities on Wednesday stating that 'a last chance was given to the Institution Deemed to be University to immediately discontinue with the name of the Deemed to be University using the word 'University' and submit an alternative proposal'. The seven universities who were warned are Christ University, Jain University, Lingaya's Univemig, Maharishi Markandeshwar University, Yenepoya University, SYMBIOSIS International University, and Gurukul Kangri Vishwavidyalaya. 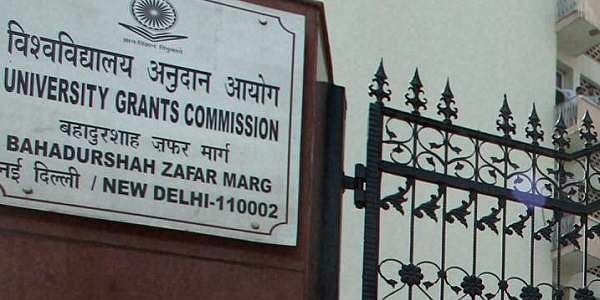 The UGC notice further said, "Failure to comply with these directions would amount to violation of the UGC (lnstitutions Deemed to be Universities) Regulations, 2016 and necessary action would be initiated against the Institution Deemed to be University in accordance with Clause 22.0 of these Regulations which may include recommending withdrawal of the declaration notifying the institution as an Institution Deemed to be University to the Central Government." On November 3, the Supreme Court verdict – dealing with a case related to the entitlement of deemed varsities to start engineering courses through the distance mode – ruled that institutions granted the deemed varsity tag cannot use the word 'university' in their names. Even institutions given the deemed university tag by the Ministry of Human Resource Development (MHRD) would have to change their names. Following the Supreme Court ruling, UGC ordered Christ and Jain to remove the word 'university' from their names. Christ University is likely to drop ‘university’ from its name while retaining ‘Christ’ with the words 'deemed university' in brackets next to the name. Dr (Fr) Abraham, pro vice-chancellor of Christ, said the proposal with new names will be communicated to UGC by email on Thursday. Jain authorities were yet to decide on a new name. A source familiar with the matter said 25 possible names are being discussed. The deadline of Thursday was set by the commission after a previous directive granting 15 days time to institutions was not adhered to. In the notice issued on November 10, names of 123 universities were mentioned.